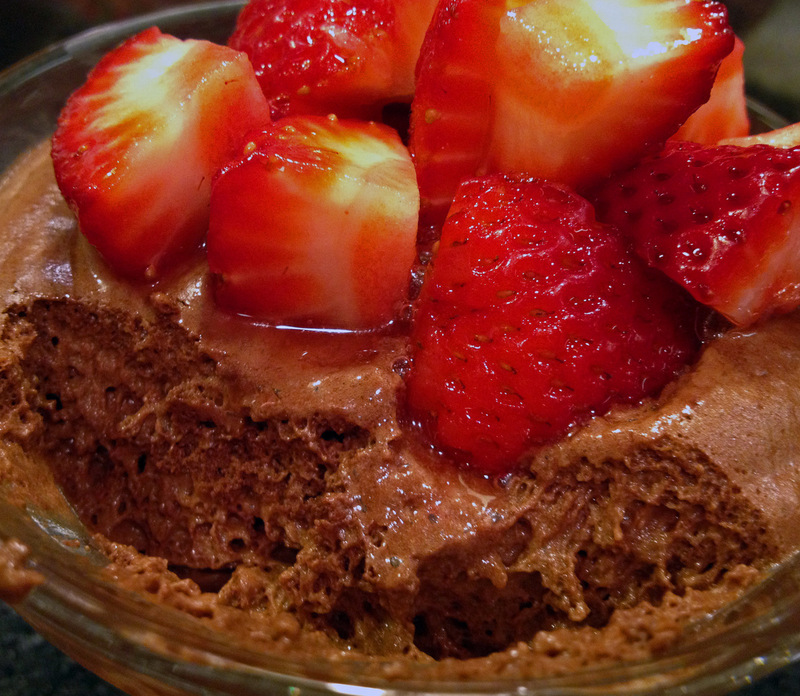 Cut the chocolate in small pieces and place inside a large bowl. Bring the heavy cream to a gentle boil, then pour it over the chocolate, one-third of the volume at a time, mixing well after each addition. 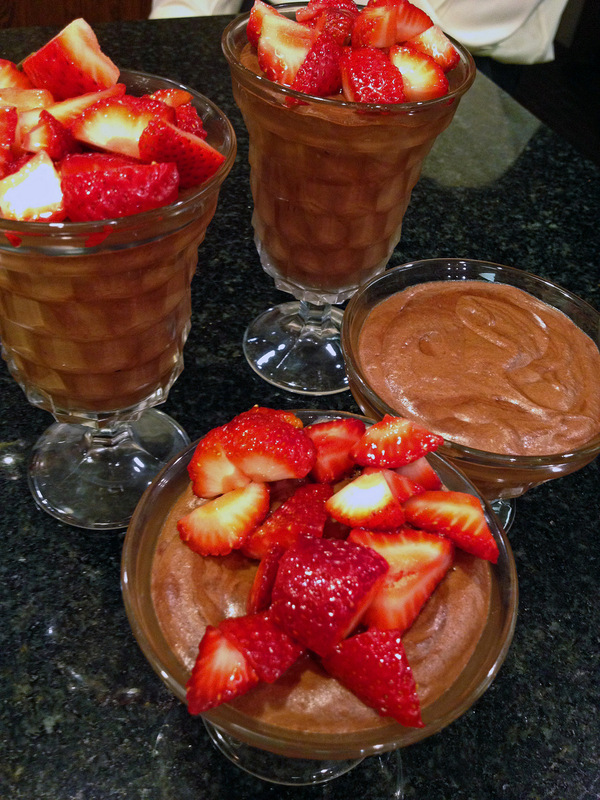 After all the cream is added, the chocolate emulsion should be very smooth, without any lumps. Beat the egg whites with a pinch of salt for a few minutes until they start to get some body. At this point, add the sugar slowly, a little at a time, always whipping the eggs. Beat until they form firm peaks. Mix 1/3 of the beaten egg whites to the chocolate, no need to be gentle at this point, just mix it all well to lighten up the chocolate mixture. Add the rest of the egg whites very gently, folding with a spatula, making sure not to deflate the egg whites too much. 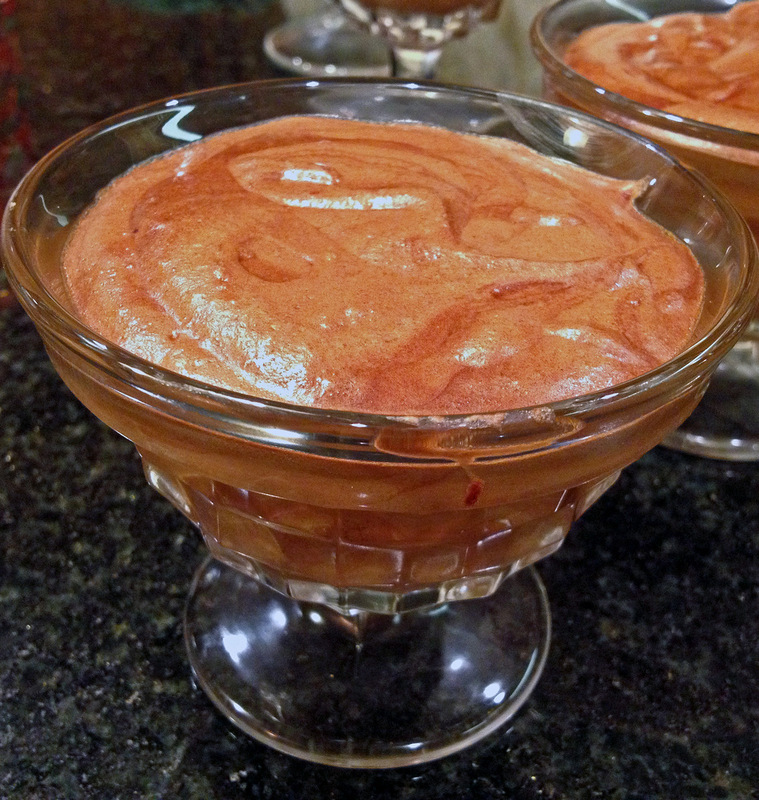 Divide the mousse into 8 serving cups, refrigerate for at least 4 hours before serving.